A GROUP of pupils from Aquinas Grammar School have achieved success in a unique contest to design a Formula One racing car. 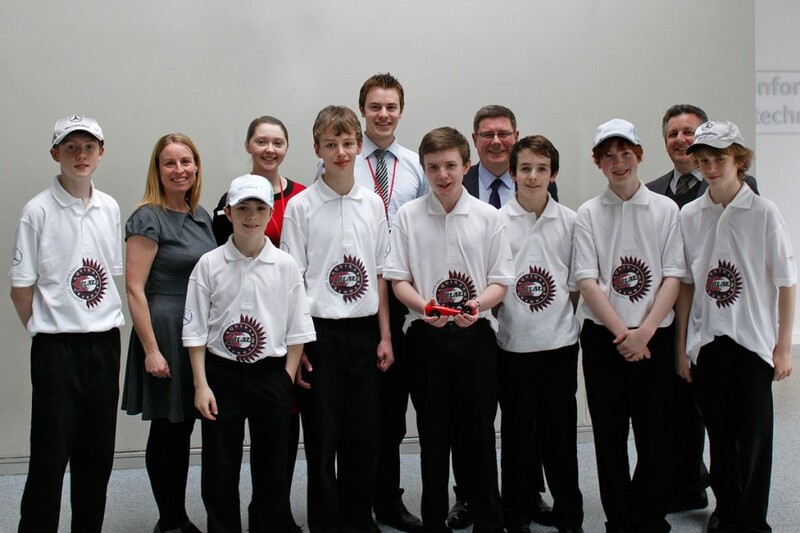 The South Belfast group, who entered the F1 Schools Challenge, and became the Northern Ireland champions back in February, proceeded to the finals in Birmingham last week, where they competed with teams from Britain. Under the name ‘Team Blaze’, the seven whizzkid students presented their F1 design in a finished model form which was honed over the last nine months, using computer-aided drawing and manufacturing. The local team finished fourth overall. A school spokesman said the pupils had support throughout the whole process. “Sponsors provided engineering support with engineers meeting the team once a month between October and March to guide them through the design process and give general manufacturing support,” the spokesperson added.